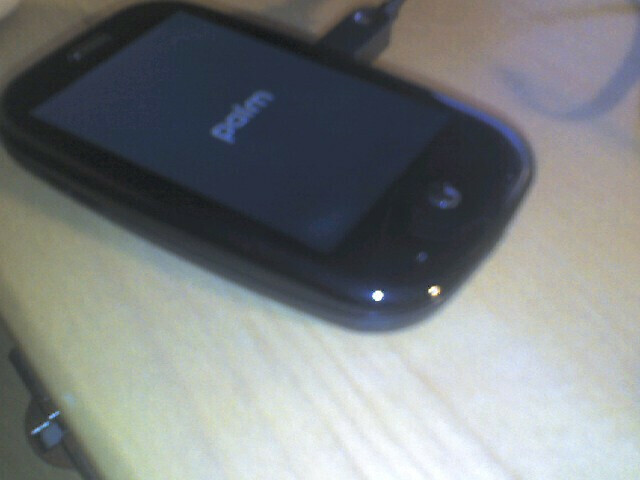 Some Palm Pre users are reporting problems with their device. Some have posted on forums about a yellow discoloration of the screen that in some cases is followed by the device turning itself off. Most of the complaints are focusing on problems at the bottom of the display. Sprint has made some exchanges where they had stock to be able to do so, although some posters say they have not been able to convince the store where they bought the phone to exchange their Pre for a new one. There have been some other complaints including some users saying that the phone gets too hot while in use. Some have noticed that light appears to be "leaking" out of the bottom of the screen. Is this what RIM co-CEO Jim Balsillie had in mind when he said that smartphone buyers should expect new devices to come with bugs out of the box? Of course, the executive was talking in the beginning of the year in reference to the troubled launch of his firm's own BlackBerry Storm. But if the problems with the Pre widen to include more units and more problems, you might find the Pre's launch compared to the release of the Storm and that would appear to prove that Mr. Balsillie's theory is correct. So far no issues on my end except that the phone does get warm on the back. The Touchstone back cover slightly lowers the heat level compared to the back cover that comes with the phone. As for dead pixels, light at the bottom, etc., I haven't had any of those issues. The only complaint I have so far would be the life of the battery. If you're a heavy like myself, you may want to carry a spare battery around. BTW...the Touchstone is great! What an idea! Yea everyone was so excited when they heard you were going to be able to run multiple apps, but battery life is sacrificed in the process. No issues here either. The phone doesn't get nearly as hot as my Nokia did that I used on AT&T. I do have the Touchstone back on it also. Love the phone and the touchstone charger!!! hey early adopters, i can't think of any advanced device that has ever been 100% straight out of box. every device has had some sort of bugs and that's the price you pay when you get a new device with a new OS. funny how most issues that people complain about though are user inflicted. "the phone gets hot when i talk on it" but what nobody says is that they're talking on the thing for a hour straight and it's plugged in the whole time they are. pre, storm, iphone, g1. not perfect. i wanna put my foot in these people's mouths... pixel and screen issues aside. I love this phone so far i normally test a phone for 15 days so i can return it with no bs. so i got 13 more days to play with it. the update added a clock with alarm and other fixes. but i thought u could use it as a display clock but u cant. so if the pre is good thru my trial ill keep it. but if not i will take it back and wait for the touch pro 2 or the new samsung instinct the dash.but so far im happy with it. no more telln myfriends hold on to send pic mail surf the web over wi fi check email etc the multitasking on this phone is sencond to none its awesome. only thing that kills it is no memorycard slot. maybe 2nd gen 32 gb or 64gb version skip 16gb. I've had since it came and I've had no problem at all. This phone is amazing, no lag and zero crashes. People who are trashing this phone are just hatin and probably never even used it before. Any one that dares compares the pre to the centro clearly doesn't know what they're talking about.